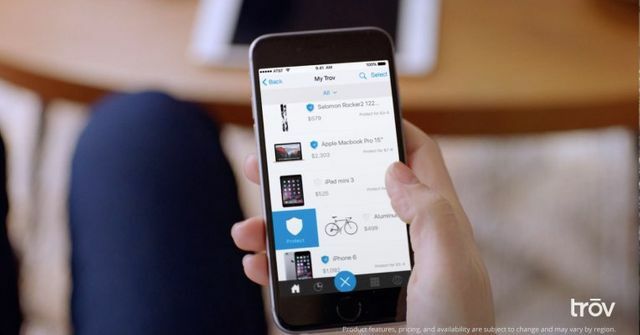 Trov, the Danvile, CA based on-demand insurance startup has raised a $25.5m Series C. The company is pivoting from being a provider of a digital inventory of one's valuable possessions to an on-demand insurance provider of those same valuable possessions. The round was was led by Oak HC/FT, with participation from Suncorp Group, Guidewire, and existing investor Anthemis Group. When a user inputs a certain product (a television, appliance, phone, laptop, musical instrument, surfboard, etc. ), Trov simply needs the make and model to generate all the metadata necessary to insure that item. Alongside information about the insurance purchaser, Trov can then generate a to-the-second price for insurance. That user can then turn protection on and off for their various items through a simple swipe. Claims can also be filed through a swipe. Currently, no insurance carrier offers policies on specific devices, and most insurance is issued on an annual basis. Because of that, most insurance carriers have no way of getting to a younger generation.